If you’ve got your eyes set on a leadership role in a clinical setting, the Doctor of Nursing Practice is the degree for you. Nursing has numerous career pathways with different educational requirements, certifications, and degree of experience. The DNP is the terminal degree for the profession. It emphasizes advanced training in nursing systems, clinical practice, and organizational leadership, and depending on your chosen area of specialty, you’ll learn informatics, health care policy, and research. In a nutshell, the focus is on delivering the knowledge needed to provide comprehensive care across the entire health spectrum. The DNP can be conferred with a specialty in advanced practice. As a DNP graduate, you’ll qualify for top-level roles in leading healthcare organizations. The degree is a demonstration of your commitment to the profession and preparedness to assume a leadership role in education, health care policy, administration, information systems, and other areas. DNPs work independently to provide complex care in ambulatory, home, community, and other settings where they use evidence-based decisions to admit and manage patients, counsel and treat patients, and initiate referrals when needed. If you opted out of the Master of Science in Nursing, the DNP may be used as preparation for a career as an Advanced Practice Nurse. Some, but not all, universities accommodate registered nurses who want to transition from the BSN to DNP. BSNs can complete the course of study in nine semesters, including the two semesters for residency. Practice as an APN requires national certification in a specialty and licensure from the Idaho Board of Nursing. More and more nurses with the DNP degree are receiving recognition for their contributions in practice. Nurse practitioner organizations and experts advocate the DNP and agree that it should a requirement for NPs. However you choose to spin it, the degree will enhance your career and gain the respect of your peers. It will put you on par with PhD healthcare professionals, such as physicians, dentists, pharmacists, and physical therapists. It will also place you ahead of MSN professionals. The additional 40 credit hours of coursework will expand your knowledge of research, technology, and collaborative care. You may be questioning the hype surrounding the DNP. Why would you need it if you have master’s degree and years of successful practice? More education is not just costly, but could also mean less time to do what you love most. Should new registered nurses skip the MSN and go for the DNP? 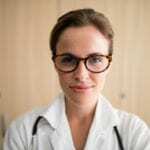 In a groundbreaking report, ‘Crossing the Quality Chasm’, published almost two decades ago, the Institute of Medicine suggested that nurse practitioners and physicians switch their focus to translational research, teamwork, and technology. The American Association of Colleges of Nursing and other organizations immediately responded. One definitive step taken by the AACN was to develop The Essentials of Doctoral Education for Advanced Nursing Practice and designate the DNP as a terminal degree for nurse practitioners. Another decision was to increase the level of preparation for nurse practitioners from the MSN to DNP starting 2015. While state boards have not yet modified their laws governing licensure for nurse practitioners, the change could come sooner rather than later. For right now, the DNP remains optional. Nurses are encouraged to apply research findings in practice to improve the quality of care. This use of evidence-based practice requires clinical expertise to make judicious healthcare decisions. 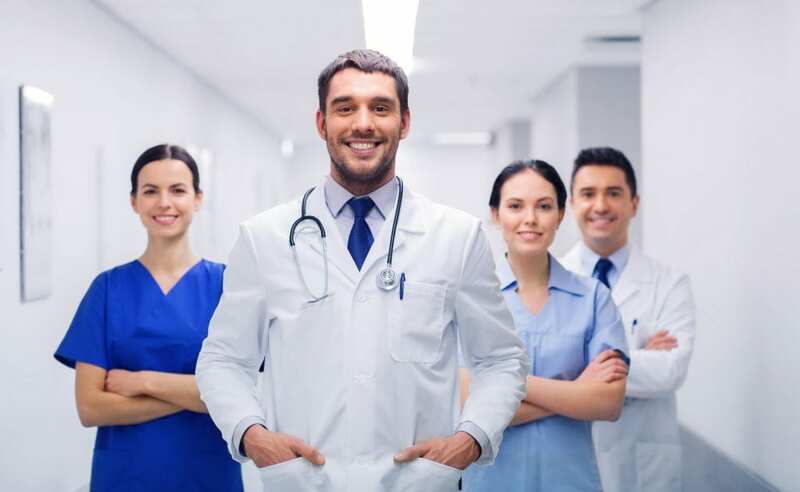 Nurses prepared at the PhD level develop and publish their findings and the DNP prepared nurse takes the research and translates it into workable solutions to complex problems in the healthcare arena. As the end users of the evidence, DNPs adopt implement protocols to bring relief to patients, families, and communities. In the past, bedside clinicians met roadblocks in the implementation of evidence-based practice and defaulted to familiar protocols. In addition to their ability to translate and implement research, DNPs have the education, expertise, and experience to incorporate multidisciplinary teams in the care plan and improve healthcare delivery. The current registered nursing workforce of 2,906,840 is expected to increase by half a million more by 2026. There’s a huge demand for nurse educators to prepare new nurses to meet healthcare demands, especially as more seasoned nurses approach retirement. If you feel the call to mentor others and positively influence their careers, taking a formal role as a nurse educator might be an excellent decision. The DNP will enable you to take up such a position and succeed. Nurse educators are critical to the continuation of the profession. While many may be desirous of taking up a role in education, the compensation as compared with those for clinical positions can be a deterrent. But without educators to pass on knowledge to upcoming generations, the profession will wither. As an educator, you can teach students in academic environments, supervise the hands-on part of the nursing education program, mentor other nurses, or supervise research activities to advance the body of scientific knowledge available to healthcare professionals. You might work part-time as a nurse educator while you keep your clinical position or take the plunge and focus on teaching. Either way, qualified faculty is essential for the future of nursing, and your contributions would go a long way in maintaining the critical student-to-teacher ratio that will let programs admit more students. Getting a DNP degree is time-consuming and expensive but a worthwhile investment that will enrich your career and practice. If you’re at the BSN level, you might consider the bridge BSN to DNP to cut the time and expenses of completing the program. With this option, you’ll complete the DNP in nine semesters and save thousands of dollars. As the DNP becomes the standard for advanced practice, you’ll also stay ahead of the curve when changes inevitably arrive. If you’re a practicing APRN, the DNP will give you a competitive advantage over MSN nurses and boost your earning potential. DNP prepared nurse practitioners can earn as much as $121,000 per year. In addition to career opportunities and a higher salary, you will have in unprecedented opportunity change the health care landscape as a leader, scholar, and agent of change. If you have set your sights on the DNP degree, your next step is to determine if you meet the requirements for admission to your program of choice. If you’re considering DNP programs in Idaho, you’ll need no less than an MSN for consideration. Once you meet the requirements, your next step must be to compare accredited programs that align with AACN’s standards. The program’s accreditation status will give you’re the assurance of value for money. Considering your schedule critically to ensure you find the perfect balance for study, work, and personal commitments. The DNP program will consist of theory, supervised practicum, portfolio development, and a residency. The content will depend on your specialty but will include the aspects of training that will enable you to make diagnosis, translate evidence, and assimilate evidence-based knowledge of behavioral and clinical sciences. APRNs can complete the requirements for the DNP in six semesters including time for the residency. They will typically complete 40 to 60 credits based on the number of credit hours transferred. The residency requirements will be 600 to 900 hours (less than the 1000-hour requirement) as hours transferred from the MSN program may be credited. Keep a clear picture of your career goals as your choose and enroll in the program. It will help you stay on course as you research programs and help with the preparation of your statement of career goals for admission to the program. The post-graduate DNP is an investment for time and money. Attending a public school will keep the costs down without sacrificing value. The tuition rate at Boise State University is assessed at $750 per credit hour. If you need to complete 40 credits for the degree, your total tuition will be $30,000 and will include books and software.